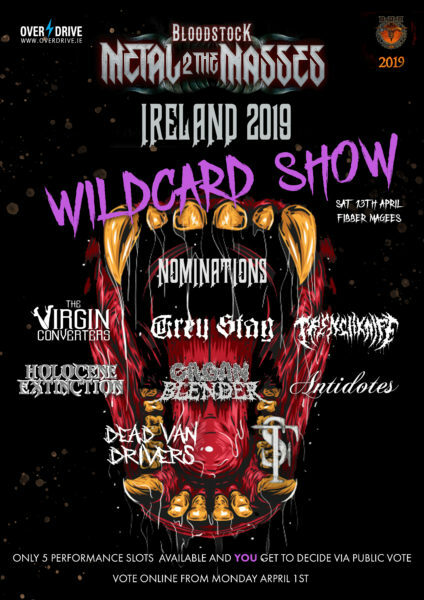 BLOODSTOCK METAL 2 THE MASSES IRELAND 2019 – OFFICIAL ‘WILDCARD’ VOTING IS NOW LIVE! 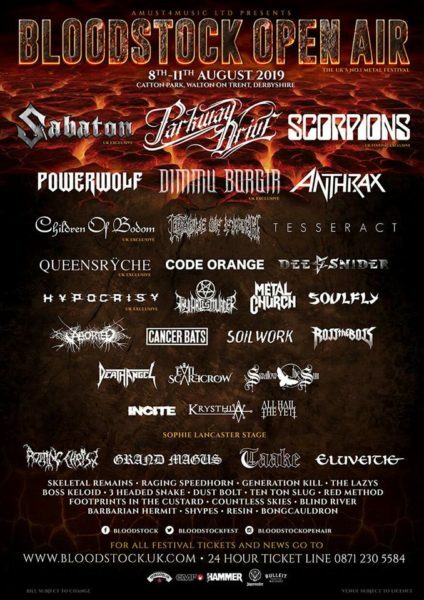 Ireland’s Bloodstock Metal 2 The Masses 2019 is in full swing with all 35 bands having now performed. This year the organisers have created a “WILDCARD” show that will be taking place on April 13th in Fibber Magees and YOU get to decide who will be performing. With only five (5) available slots, YOU can cast your vote as to who you think should be taking to the stage on Saturday, April 13th. All you have to do is select ONE (1) band from the poll and the top five bands will be one step closer to the 2019 semi-final stages of this year’s campaign.